Worker safety specialist ALPHA SOLWAY, part of Globus Group says Europe’s multi award-winning range of safety helmets by ENHA are now available in the UK and Ireland. The company says as a well established and respected innovator in head protection across mainland Europe with a reputation for quality and performance, ENHA’s extensive range of safety helmets has been designed to provide protection for workers across multiple sectors including construction, utilities, manufacturing, engineering, metal working and forestry. Alpha says the new innovative range of hard hats provides safety managers with a fresh opportunity to reinvigorate the head protection provided to workers and designed and manufactured in ENHA’s German facilities, using cutting edge technology and production techniques, all ENHA helmets conform to EN 397 having been tested under different temperatures between 50°C and -30°C. 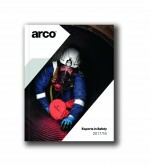 ARCO says the UK is currently the 11th largest manufacturing nation in the world; with manufacturing making up 54% of UK exports and directly employing 2.6 million people. 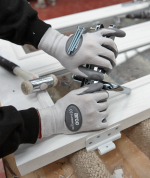 With UK manufacturing remaining a key industrial sector and precision assembly increasingly required, the company says it is important that hands are suitably protected. Drybase Flex Membrane from SAFEGUARD, a leading UK specialist in damp-proofing and waterproofing technology, is the latest product in the company’s Drybase Damp-Proof Coatings range and is designed for direct application to floors and walls that have been affected by dampness and salt contamination; and when it is not possible to stop the damp at its source.